From the airport you drive for about 8 km to San Jose. On your right hand side, you will see the Hospital de Mexico. After the Hospital de Mexico, take the exit to La Uruca. On the rotonda take the third exit. At the traffic lights, take a right, you’ll have the cookie factory Pozuelo on your left hand (you'll smell it!). Go straight, keep the middle lane as much as possible. After the garage Mercedes/Jeep/Chrysler you will see a Shell gas station at a Y-junction, keep left. Follow the road (nr. 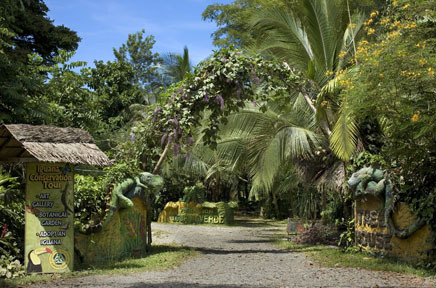 32) to Puerto Limón through Braulio Carrillo National Park and you will pass Costa Rica’s only tunnel. Follow this road to Guápiles and keep going straight. 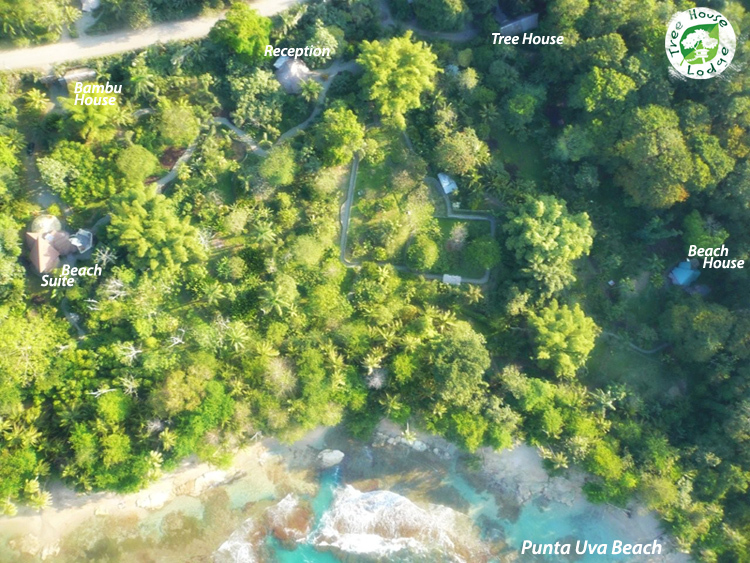 After passing Siquirres, Matina, Batan and other towns, you will finally reach the coast at Puerto Limón. Here you will see the fruit companies containers. This is the biggest harbor of Costa Rica. In Puerto Viejo, follow the paved road alongside the beach. 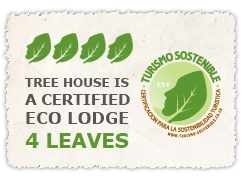 The Tree House Lodge Hotel is located 5 km south from Puerto Viejo. Follow the road towards Manzanillo. You will cross several small neighborhoods. At Playa Chiquita you can't miss the speed bump in front of the school.